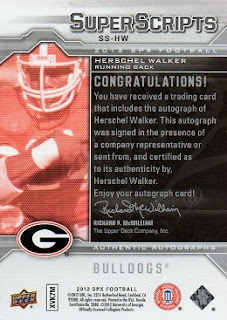 This sharp looking autographed card of Herschel, joins the Hoard. 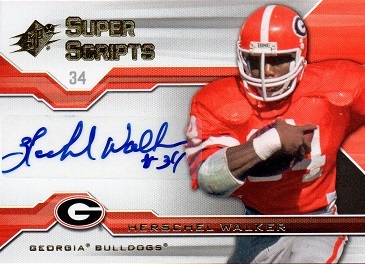 It is a 2012 Super Scripts autograph from the SPX line of Upper Deck. I had a chance to pick up this card about a year ago, but the deal fell through at the last minute. I'm glad it came back around.